Earlier I shared insights into the recent negative advertisement by a group of disenfranchised Hong Kong people. Mainland Chinese were called “locusts” for their overwhelming presence in this city. 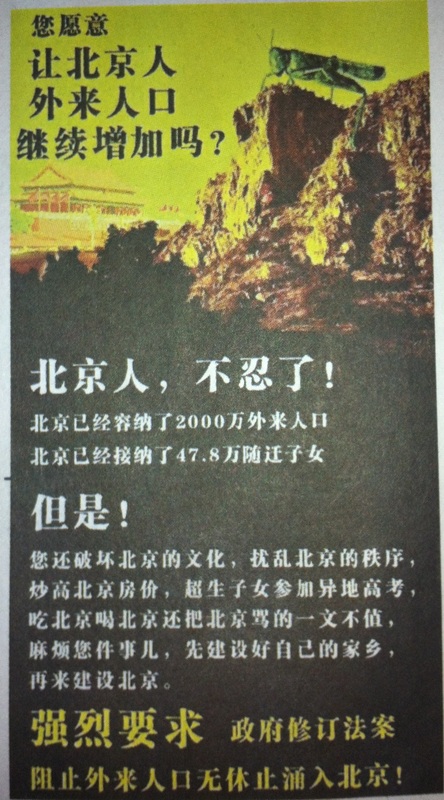 Originally published in “Apple Daily” the ad drew criticism and praise. 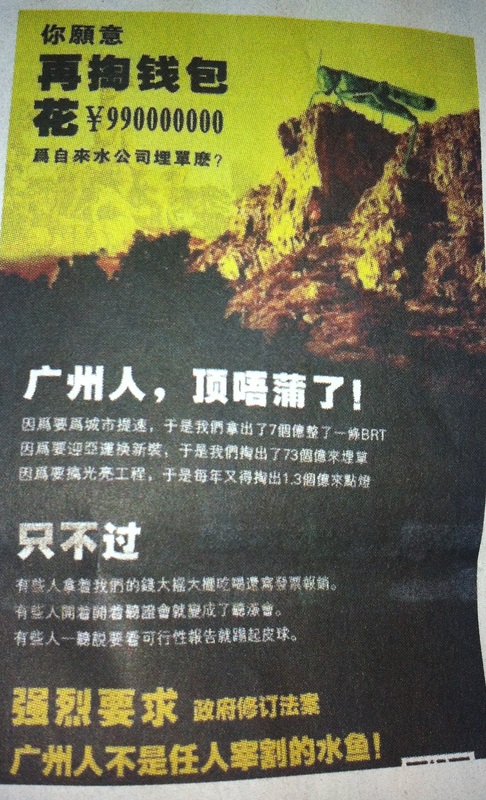 Today the newspaper reports the ad was copied and re-printed with new wording in a number of cities across China. They slam Hong Kong – right? That was my knee-jerk reaction too. But no! 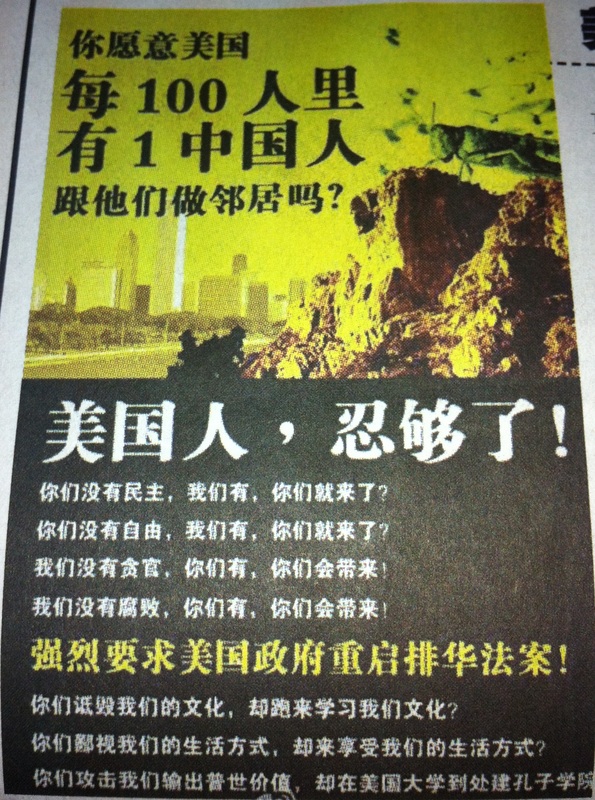 Instead these ads repeat the theme – and call whole new groups of people Locusts! Hover over each image to see what the people object to. The first is from Beijing and is against migrants to the city from other provinces. The next was sponsored by Chinese-Americans asking for China to regulate the number of migrants to the USA. The third ad was paid for by Guangzhou residents and lists increased water bills and infrastructure costs as the culprit. And the last – my personal favourite – is from Chong Qing. Here the Locust refers to unscrupulous deep fry cooks, These scoundrels don’t change their cooking oil often enough. Imagine! With all these locusts across China, I’m forced to think. Wouldn’t you like to be a locust too?